Who was the Mystery Donor of the Pol collection of medical incunabula? The Nicolaus Pol Collection of early medical books constitutes one of the true gems of the Rare Book Collection of the Cleveland Medical Library Association. Purchased in 1929, on the eve of the Great Depression, the acquisition of the Pol Collection long remained shrouded in mystery. But by virtue of some persistent sleuthing by Catherine Osborn and myself, we have identified the probable anonymous benefactor(s) who made this acquisition possible. The provenance of the Pol Collection is quite remarkable, showing the circuitous route that some rare books took in making their way to the Cleveland Medical Library Association. This collection formed part of the library of Nicolaus Pol (c1470-1532), a physician in the employ of Maximilian I, Holy Roman Emperor beginning in 1491. Pol amassed an extensive personal library of 500+ books before his death in 1532. The main body of Pol’s library, comprising works in religion, ethics, and philosophy, resides today in the Collegiate Church of Innichen (also known as San Candido). At some point 33 (or more) of Pol’s medical books surfaced at Ludwig Rosenthal’s Antiquariat in Munich, Germany. In 1907 a young book dealer there, Maurice Ettinghausen, sold them to Edward Clark Streeter, M.D., of Boston for $800. Streeter, “…one of the foremost medical humanists of his generation” delighted in the acquisition of the Pol Collection, hoping to make a special study of it. But personal financial reverses compelled its sale in 1928 and Ettinghausen, then of Maggs Bros. in London, bought the Pol books for $5000. Maggs Bros. in turn issued a catalogue offering the entire collection for sale in 1929. So, who was this anonymous benefactor? Local philanthropists and CMLA Honorary Members Mr. Perry W. Harvey and Mrs. Kate Hanna Harvey are most certainly the anonymous donors for the Pol Collection. Perry was cousin, college roommate and best man to Dr. Harvey Cushing and, before his marriage to Kate, lived with his cousin Dr. Edward Harvey Cushing, who secured the donation for the CMLA and held the title “Curator of Incunabula.” Perry was a longtime friend of Bingham, who had died four months before the Pol Collection was purchased. Both men avidly collected rare books (Perry Harvey favored John Baskerville editions) and were active in Cleveland’s Rowfant Club, making the donation of this unique collection a fitting tribute. When Perry Harvey died in 1932, he was memorialized at the CMLA’s annual meeting because of his contributions to “many of [the library’s] treasures, items which [the library] would have been unable to purchase from [its] funds” and that “it was in keeping with his charming modesty that he permitted no public acknowledgement” (CMLA Minutes, Vol. 6, Jan. 20, 1933, p. 427). See Harvey Williams Cushing, “Books and the Man,” in A Brief Biography of Perry Williams Harvey. Cleveland: the Printing Press of Horace Carr, 1936. Frontispiece, A Brief Biography of Perry Williams Harvey. Cleveland: the Printing Press of Horace Carr, 1936. 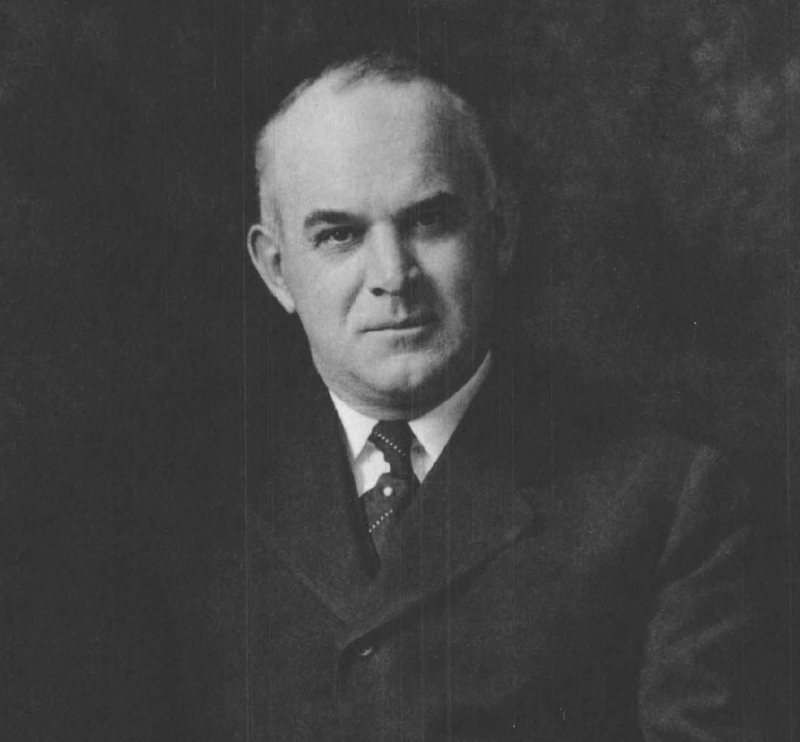 “Edward Clark Streeter, 1874-1947,” Yale J Biol Med. 1947 Dec; 20(2): 202.1–211. Streeter and Harvey Cushing formed the Boston Medical History Club in 1921, and Streeter later taught medical history at Harvard and Yale. T. J. Abernethy, “Edward Harvey Cushing, M.D. (1898-1969),” Trans Am Clin Climatol Assoc. 1971; 82: lv–lvii. Minutes of the Trustees of the CMLA, 28 Jan 1929. Charles W. Bingham (1846-1929), was a Cleveland businessman prominently active in cultural institutions, including the Cleveland Museum of Art. 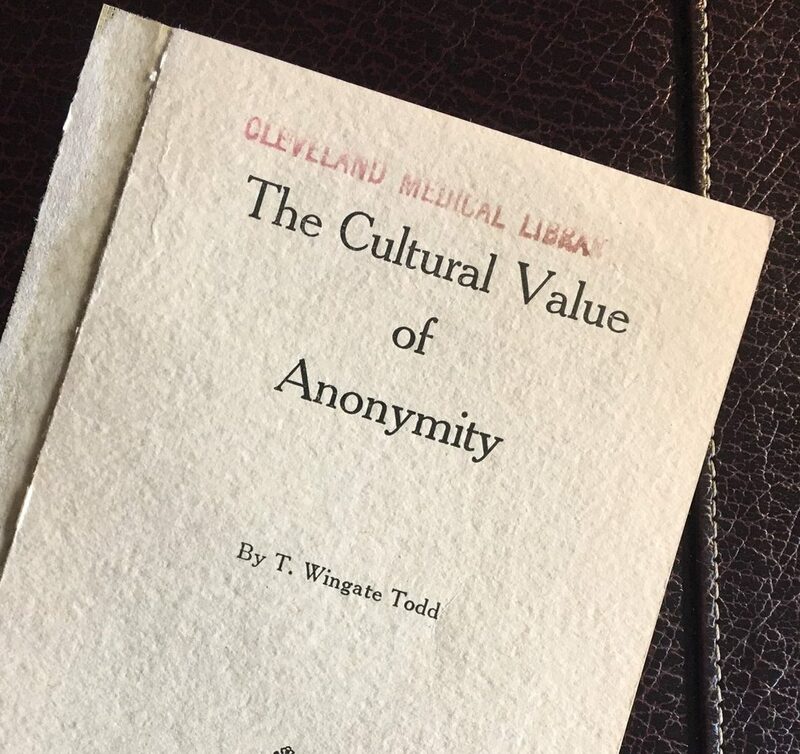 The Cultural Value of Anonymity, by T. Wingate Todd. Announcement of the gift of the Pol Library to the Cleveland Medical Library Association, Monday, October 29, 1929.